Ulthuan • View topic - Warmachine control verus dwarves, not sure what to do! Warmachine control verus dwarves, not sure what to do! Post subject: Warmachine control verus dwarves, not sure what to do! I normally play Lizardmen. I play vs. Dwarves most of the time. Eventually I'll played HEs versus dwarves. My foe likes organ guns, and grudge throwers (I don't think he'd take a cannon v. HEs though as indispensible as they are against LM). I can barely handle war machine control with chameleon skinks. Shadow Warriors strike me as being less powerful point for point than chamo skinks. I think Reavers, Silver Helms or Shadow Warriors can get the job done on war machine hunting but I imagine the hunting units would cost me more than the war machines they kill. Eagles strike me as just throwing points away to an organ gun. My foe tends to like tooled out runesmiths and rune lords in lieu of fighty characters. Partially due to personal prefence, partially due to being used to seeing Slann so a magical solution would be somewhat unreliable. The thought struck me to not bother active war machine hunting and buy extra elite infantry to overwhelm the dwarf ground forces before war machines can take their toll, but that strikes me as a tall order. Also, what about Core? I'm guessing that archers are not a great idea because they can't inflict much on high toughness troops and if all the other infantry is engaged, they will just become grudgethrower targets. How do you guys handle dwarves? It is said that a gamer dies when his last unpainted model is finished. My immortality is thus assured. Post subject: Re: Warmachine control verus dwarves, not sure what to do! It's a mistake to pass over eagles. I wouldn't pay attention to the organ gun. Yes, it is an effective piece of equipment, it has a limited range and will probably be stuck in close to a bunch of infantry. Those grudge throwers are the real threat to any infantry focused army. Use eagles on the grudge throwers and take the hits from the organ gun. He can only shoot that at one unit per turn. It's not entirely about how many points the eagle that kills the war machines cost. The game is won with victory points killed, not victory points spent. Generally eagles that get into enemy war machines earn a lot of victory points without losing any. Having a list full of eagles isn't just an investment in war machine hunting anyways. Against a more troop block oriented army they're invaluable for controlling the battlefield. Lots of players on this site take 3 or more in a list above 2000 points. I take 4 at 2500. You're right about shadow warriors. Our lack of a decent war machine killing scout is a major impediment when combined with our armies weakness to war machines. I honestly don't have a solution to war machine heavy armies. I try to position vulnerable troops behind cover and zap them with shadow lore, eagles, or a little unit of 5 reavers (don't waste points on bows or command). The problem is that cover does very little against war machines. Unless they can't see you at all, stone throwers are devastating and cannons are about as accurate as sniper rifles. An HE army needs to move forward fast so cover is abandoned quickly. The skeinsliver can be a useful item. Going last means the enemy gets an extra turn to fire against you. When I take on a war machine heavy list and go second, I switch from 'try to win' mode to 'try to lose less' mode. Skeinsliver helps us get the first turn, and can make up for it if we finish deploying last. Finally, if your enemy is tailoring a dwarf list against your HE you won't stand much of a chance. If hes taking cannons against your lizards but then switching to round templates against your HE he's tailoring. It's unavoidable to tailor your list a bit against the people you battle regularly, but in general you should pick the list you're using before you know who the opponent is going to be next. BoH Shadow Archmage, combined with a few GE's, and maybe the Banner of Swiftness on a unit of WL's. Try to use the book mage to push spells through his Magic Defense. You'll need to hide him in a bunker, maybe of PG, to protect him. Miasma, reducing BS, is great for reducing the effectiveness of his Thunderers or Quarrelers. Pit is the real winner here, as if you can force it through with IF from the book, will auto-kill War Machines. If he plays his War Machines in a cluster, and leaves a couple of units to protect them (normal w/ my dwarf opponent), then you can go for the boost and know you're going to hit something. Withering can help make your Archers useful against his troops, and Enfeebling can be useful once you hit his lines, especially if he has gone for Great Weapons. Sweep up the Flanks with your GE's while coming down the middle hard and fast with your Elites. With a Ma of 6 from the Banner, you can March 12" and have an average charge range of 13", with a max of 18". If your playing a scenario that has you starting at about 24" apart, unless your opponent deploys far back in his deployment zone, you have a good chance of a 2nd turn charge. If not Teclis, go Archmage4 with Lore of Life in a PG bunker with its champ carrying an Ironcurse Icon to help with protection from war machines. Life will be nice for the extra toughness in Flesh to Stone. Regrowth, obviously is key with Throne of Vines up. Dwellers can take a third of a unit at a time so it may be a good 4th pick. Eagles definitely. I am just discovering why they're called "Great"! Life is a good Lore and I've been using it a couple games myself now, but I'm not sure it is a good fit in this case. If his opponent is loading up on Rune Lords and Rune Smiths, you can expect to see your PD overwhelmed by his DD every magic phase. To make matters worse, you can expect him to use his PD in his phase to dispel any RiP like Throne every turn. This why Teclis or a BoH mage would be good - high chance of IF means those DD go to waste. I recommended Shadow because the CV's in Shadow tend to be higher, encouraging you to throw more dice, which means higher IF chance. Life tends to have lower CV's, so less dice are thrown, meaning lower chance of IF. Still, a BoH Life Archmage is possible. Also, Ironcurse Icon doesn't do anything for PG, as they already have a 4+ Ward Save, so the 6+ Ward Save from the item would do nothing for them. If you're taking it solely to give the Archmage in the unit a 6+ Ward Save against War Machines in case he fails his LoS! roll ... well, ok then I guess. The purpose for Ironcurse Icon on the Champ instead of the Archmage is in case you are using BoH, it takes up all your points, and you want SOME kind of save besides LoS in case of cannon snipe. I still believe one of the best ways to combat heavy war machines is Regrowth and Flesh to Stone- raise models that already fell, and give Toughness to protect against wounds. Dwellers is also good as it can kill anywhere from 1/3 to 1/2 the unit (vs. S4 and S3 respectively). 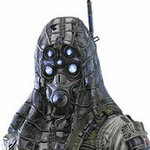 And as war machines auto fail characteristic tests, dwellers would be alright against them since they test on Strength. Probably not the most efficient way to get rid of them, but if they are punishing you with machines, then ya, go for it. 1) Eagles. They're just great. If you can reach a warmachine, that's fantastic. If you can't, then your opponent probably wasted missile fire on them. If you have Eagles left alive when you reach the fight, use them to redirect those big Dwarf blocks. You don't want 40 great weapon warriors hitting you in the flank while you're already busy with another fight, and Eagles will prevent that. Eagles are great against every opponent, but they're generally game winners for me versus Dwarves. 2) Archers. If you have Archers in your list, you have some choices. If they have clear Line of Sight to enemy warmachines, consider just shooting at them. The Organ Gun in particular is a good choice; it can't take extra crew, so 3 Wounds and it's dead. A smart Dwarf player will keep his machines Obstructed or deployed in cover, but he may get careless. If you don't have clear shots to those warmachines, then consider advancing the Archers and using them like Eagles to redirect and get into the enemy backline. 3) Magic. Well, duh, magic is important. However, Pit of Shades, Dwellers and Purple Sun all insta-kill warmachines. Sometimes it's useful to pressure Dwarven magic defenses with these nuke spells early on, forcing him to burn his dispel scrolls, so that you can use magic more effectively when combat starts. If you even manage to kill a machine in the process, then that's a nice benefit. 4) Don't think you can avoid taking casualties, because you can't. I see a lot of players try to combat gunlines by sitting around in their deployment zone hoping to take out the warmachines first, or else following some long convoluted deployment plan that involves hiking a roundabout path around impassable terrain in the hopes that they can avoid being shot at. My advice for Dwarves is to send everyone into no man's land as directly as possible, weather the casualties, and focus more on dashing across the table as quickly as possible. If you're efficient with your deployment and movement, you'll overwhelm the Dwarf player's shooting by offering him too many targets to handle. It's a much better choice than going across the table peacemeal and giving the Dwarf some easy choices for target priority. I play against empire and dwarves alot (feisty neighbors as it were), and it really takes a unique maneuvering to open up the game. Empire is slightly easier as an eagle against an empire warmachine has half a chance, but an eagle against a dwarven warmachine will break even at best, and at worst they get trounced! The key against medium to heavy artillery lines is starting close combat as soon as possible. They're likely to have less combat forces, and once the blades start swinging you'll have the distinct advantage, and he'll be stuck without anything to shoot. I also look for gaps to charge lords/heroes through to solo break the siege machines. A noble will kill a warmachine over two fighting rounds, and be ready to charge again when it gets back to your turn. So get into combat, and really dance the dance of enemy unit mingling to neutralize the effectiveness of warmachines. 1. Net of Amyntok on a warmachine automatically shuts it down for a turn. Use it on whichever machine presents the greatest threat to you that turn. Hint: it's usually the grudge thrower. 2. Pha's Protection can be cast in a 12" aura, which is especially great if you're fielding multiple small units. It will (in theory) halve the amount of warmachine fire you take, as well as providing a bonus versus the ballistic skill shooting that will almost definitely be present. 3. Briona's Timwarp. It's not just for wrecking faces in combat. A successful powered up first turn cast of this spell will have your troops in charge range for second turn, since it doubles your movement during the next movement phase. Stick this guy on a unit of Dragon Princes for extra comedic relief. The problem I find with a the lore of life is that the spells are usually single target. So if you're the type of person that likes to write lists that include one unit containing a large percentage of your points (see: lizardmen with temple guard), then it's extremely effective. However, if you're like me, favouring many smaller units, you'll find that the enemy will simply avoid the buffed unit in favour of a softer target. Other than that, like everyone has mentioned, eagles are a great option. Even if they only succeed at tying up the warmachines for a turn or two, it'll still be enough to get our infantry into the safest place they can be versus a gunline: Combat. There is nothing do fear but fear itself... well, that and Toughness tests. Cheese some heavy shadow magic. It can make dwarves mad. Use the Book of Hoeth and he'll get real pissy real fast but go ahead and do it if you want to win. I make my armies based on speed and have almost no infantry other then core and I do a lot better against template armies now. Eagles, knights, Banner of Swiftness, don't engage spearmen ever if they got hit by a grundethrower stand back and use as flank threaten or just conserve ur VP. Once a HE unit gets hit by a deadly templete I considered it disabled and I try my hardest to not let them finish the unit. Get ur units in small frontage so they can do combined charges with whatever they need to break something in 1 charge. Don't run things like 7 wide knights cause they can't even combine like knights in a 3x2 formation. I fought a all template army of dwarves and chaos draves with my HE list and I won both. I didnt even bring a level 4 mage. I think magic is bad for HE inless u using the book of Hoeth or Teclis. I think Dragons, eagles and knights are the way to go. BTW, Star Dragons are amazing still. Skeinsliver+lesss units= super high chance to going first. Use terrain. Also, all you people having trouble iwth lizardmen star dragons dominants against saures blocks even with the lore of life on them. U use ur in combat flame attack break their regen and ur str 7 completely counters them. U even ahve iniative on saures blocks. My dual organ guns and dual cannons await your dragon and knights yum yum. Seriously though I think you have to wager up the dwarf player about halfway through deployment and decide whether you think he's a good enough player to protect his castle formation or not. If you deploy things where he can't get to them it makes it hard for him to get a victory, and he might even risk his anvil blowing up to get some VP. Take the minor loss/draw/minor win from the game and move on to the next in the tourney. HE don't have any big point sinks that the cannons can pick off that you can't hide (like other armies have abomination/hydras, etc) so you can afford to sit back a bit and plink away with archers (while hiding the cannon vulnerable targets). Very good dwarf players won't let machines get picked off by eagles or shooting. And i'm surprised we are even contemplating relying on magic against dwarfs (ignoring teclis which is banned nearly everywhere anyways). Dwarves are dwarves but one of the reasons I didn't choose them as my warmachine faction is because alot of the dwarves don't have beards.